In Kenya people living with disabilities are fighting to have a say in how county resources are allocated and spent to address their needs. In India workers in a massive rural employment program are struggling to make sure that they’re granted the work they’re entitled to — and paid for their efforts. In South Africa residents of low-income settlements around Cape Town are seeking ways to engage with the government to get decent, economical sanitation installed in their communities. These three new case studies are drawn from substantially different contexts but have something in common, citizens trying to engage the state in the management of public resources. This may happen through formal budget processes and procedures, in village meetings, or in the streets, but in all three cases citizens are defending a central ideal: that public money is the people’s money, and they have a right to understand and influence decisions on how it is spent. Yet in each case, those making this claim are from groups that find it hard to make their voices heard. IBP, along with our civil society partners around the world, have long supported such efforts to influence government budget decisions. The struggle to make budgets democratic and inclusive is of vital importance to ensuring shared prosperity in the face of widening inequality, and meaningful democracy as trust in public institutions declines. It is difficult work, and citizens and civil society organizations (CSOs) often find themselves going against the grain of fiscal institutions that are influenced by powerful groups and are not accountable for the decisions that are made. These power dynamics speak to the root causes of exclusion that can be hidden by more visible symptoms of how much money is allocated to which group or the specific details of a formal participation process. 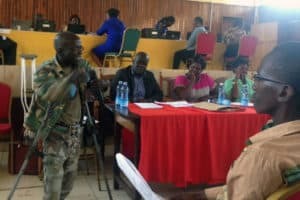 In Kenya’s Uasin Gishu County, the government responded to the demand of an organized group of citizens living with disabilities for improved services by dedicating significant resources to this issue. IBP partner the Kerio Center supported the citizens group in engaging the government through several formal channels to ensure these resources were best used to meet their needs. Still, the government ignored their petitions, which is symptomatic of situations across Kenya’s new county governments (established by the 2010 Constitution), in which formal mechanisms for citizen involvement in budget processes exist, but there are few incentives for government to make these channels meaningful forms of engagement. 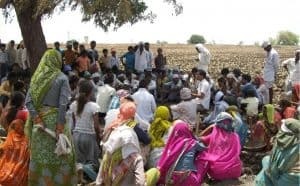 In India the Mahatma Gandhi National Rural Employment Guarantee Scheme (MGNREGS) presents the radical possibility of economic independence for landless rural families who have long been beholden to local land-owning elites. The program offers workers up to 100 days a year of paid labor on community projects. Landowners, fearing loss of cheap labor, worked to undermine the program, as did actors in elected office and the bureaucracy as they attempted to divert resources from the program for political patronage or their own enrichment. IBP has supported partner SAMARTHAN to organize MGNREGS workers and collaborate with the government to improve the transparency of the program’s financial systems. Furthermore, SAMARTHAN joined the government to perform hundreds of social audits on failed projects and worker grievances, resulting in significant improvements to the program. In spite of the effectiveness of the social audits to reveal and address many specific problems, corruption and mismanagement persist in the MGNREGS program. 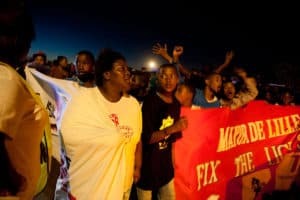 The Social Justice Coalition (SJC), an IBP partner in Cape Town, was created by citizens of an impoverished informal community as a vehicle for their struggle for inclusion and fair treatment by the city government. In many ways, the exclusionary logic of Apartheid South Africa continues in Cape Town in economic form as many poor communities are left as “permanently temporary.” This is perhaps best symbolized by the proliferation of portable toilets as the city’s primary response to citizens’ demands for dignified and safe sanitation. SJC’s efforts to challenge the continued marginalization of these communities has taken several forms, from organizing citizens to file thousands of petitions in the formal city budget process to chaining themselves to doors of city hall to litigation. Even as their core demands for safe and sustainable sanitation remain unmet, SJC’s members have made gains of other sorts, both in the improvement of services and in the encouragement of active citizenship by excluded groups. At first glance, these cases may appear as small efforts against deeply entrenched systems of opaque and exclusionary governance. However, a closer look would reveal the first green shoots of a more democratic and inclusive way for citizens and governments to engage. It’s clear that there is no silver bullet or shortcut in the fight for fair and inclusive governance. But how do we know if we are making any progress, or if we are just spinning our wheels? These in-depth case studies present a compelling case for both strengthening collective citizen action in fiscal governance and engaging with a broader ecosystem of accountability actors and mechanisms on the other. In each of the three cases, IBP’s civil society partners are working to strengthen the collective capacities of organized citizen groups to engage the state around public resources. They are doing so in a manner that acknowledges the power dynamics inherent in budget making and builds countervailing power in order to ensure more democratic and inclusive public resource governance. By building an understanding of budgets and fiscal processes, and by mobilizing through unions, grassroots groups, and wider movements, citizens have a greater chance to meaningfully engage with government actors in formal and informal budget spaces. The mechanisms for ensuring democratic participation and meaningful accountability in government budget processes are usually weak and often respond to the needs of more privileged groups – this is why the collaborative work of CSOs and marginalized groups is so vital. In all three cases, citizens and CSOs probed the accountability ecosystem seeking to leverage functioning mechanisms of checks and balances (such as media coverage, a human rights ombudsman, or the courts) to pressure government decision makers to act on their commitments. In most cases the accountability ecosystem was fragile, often lacking capacity, autonomy, or interest in engaging with citizens. Organized citizens are better placed to make demands through and in parallel with formal accountability processes. These groups are all making a long-term bet on strengthening citizens’ collective ability to engage the state and in strengthening the mechanisms of accountability that can bolster citizen action. Setbacks are frequent, and breakthroughs rare, but change, no matter how minimal, is possible. More savvy engagement strategies by citizens and CSOs, growing formal spaces for participation, wider reform coalitions, and incremental steps to ensure accountability may seem insignificant, but meaningful impact can be achieved – even through one public interest lawsuit or media story at a time.